The Canberra Raiders Jersey Flegg side will look for their second win on the trot after an 18-14 win over the Newcastle Knights in Round 3. Head Coach Ash Barnes says he was pleased with the way the team stepped up in the finals minutes of the game. We are underway at Seiffert Oval! Roosters kick off. 5th min Kyle Patterson sin binned, ruck infringement near the try line. Harsh call. TRY ROOSTERS to lock Elih Jackson. They go in from close range, almost immediately after the binning. Converted from almost in front by Ethan O'Neill. 22nd min TRY RAIDERS to second rower Gideon Afemui! Raiders hit back! Jarret Subloo converted. 21st min TRY RAIDERS to Jackson Stuart! His first try in green! Fantastic take of the Raiders bomb by Jordan Martin, following through, to set it up. Stunning try! Jarrett Subloo converts. 27th min TRY ROOSTERS to Jake Kambos. It’s off the back of a penalty. Converted Ethan O'Neill. 31st min TRY ROOSTERS in the corner to winger Bayleigh Bentley-Hape. At least one forward pass and one knock on in the lead up. No conversion. We’re back underway at Seiffert in Jersey Flegg. 44th min TRY RAIDERS to Harley Smith Shields out wide! Good attack on the back of a penalty. The Roosters had a line drop out that ended up going 70m, once the Raiders kick backwards to keep in in the field of play was taken into account... but the penalty helped. No conversion. 14 mins to go TRY ROOSTERS to fullback McKenzie Baker. Converted Ethan O'Neill. 11 mins to go TRY RAIDERS to Charlie Rorke. The Roosters failed to stop the kick off bouncing dead and the Raiders put on too much pressure. They hit back! Jarrett Subloo misses the goal from close range. Hits the post and bounces away. AT A GLANCE: The Canberra Raiders suffered their first loss of the season in Round 3, a narrow, 22-20 defeat at the hands of the Sydney Roosters at Seiffert Oval. The Roosters scored first in the fifth minute through lock Eli Jackson, after Raiders half Kyle Patterson was sin binned for a ruck infringement on Canberra's own goal line - in a possible try scoring situation for the visitors. Canberra fought back with tries to Gideo Afemui in the 16th minute, and fullback Jackson Stuart in the 21st, giving the Raiders a 12-6 advantage. It was Stuart's first try in green - with Jordan Martin racing through to spectacularly take the Raiders' own bomb on the full, before offloading to a flying Stuart. However, two quick tries to the Roosters in the space of five minutes - to backrower Jake Kambos and winger Bayleigh Bentley-Hape - saw the Sydney outfit go to the break with a 16-12 lead. Just under 10 minutes into the second half, the Raiders leveled the scores through a try out wide to centre Harley Smith-Shields. But the Roosters again took the lead with just under 15 minutes left on the clock, a converted McKenzie Baker try pushing the scoreline out to 22-16. Raiders prop Charlie Rorke crossed the line with 11 minutes remaining, but sadly, Jarrett Subloo's conversion attempt from fairly close range hit the post and bounced away. In the end, both teams scored four tries, with goal kicking proving to be the difference. The eighth placed Raiders now meet the 13th placed Parramatta Eels - the first match in a triple header at Canberra Stadium. The Eels have not won a match so far this season, posting a 0 and 3 record. Last Saturday, they were defeated at home, 38-4, by the first placed Cronulla Sharks. They have also lost to the Roosters (20-12) and the Bulldogs (36-10) this season. The Raiders have posted a win, a draw and a loss. After three games, the Eels have the worst attack in the competition, scoring an average nine points per game, and conceding 31. The Raiders have scored an average of just over 19 points per game, but have conceded 19. Raiders coach Ash Barnes has made no changes to the team that ran out against the Roosters. For the Eels, Michael Cheer comes in for John Fonua at fullback, while Joe Small moves to the second row and Tuimavave Afualo is included at centre. William Kei replaces Haze Dunster on the wing. Out tip: The Raiders should be too strong for the Eels at home. 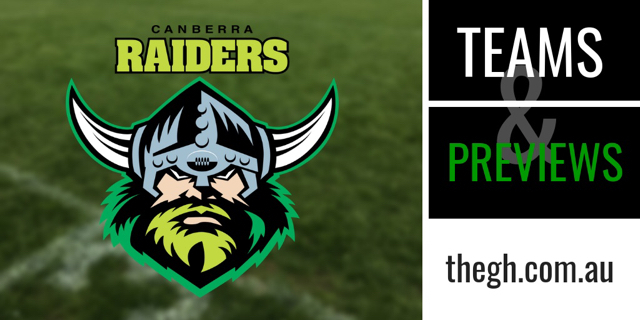 The Canberra Raiders’ Jersey Flegg team will be looking for a win during this week’s triple header when they host the Parramatta Eels at GIO Stadium this Sunday afternoon. Parramatta Eels kick off! We are underway! 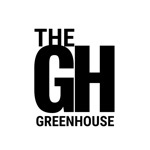 Check The GH Instagram for pics and video! 4th min TRY RAIDERS to centre Matt Timoko! It’s off the back of two consecutive penalties. Easy try in the end. Great kick Jarrett Subloo. Looked like it was going to miss, but just curled in at the last moment. 23rd min TRY RAIDERS to Matt Timoko! He gets his second, after the ball comes free with the Raiders in possession in the red zone... but ruled six again for Canberra. Timoko takes advantage of the broken play Subloo converts. The Raiders have defended well, turning away the Eels a few times in the red zone, including after a dropped bomb from Stuart. Very disciplined team. Now the Raiders let the ball bounce past the dead ball line. More pressure. 30th min TRY RAIDERS to five eighth Jarrett Subloo. He makes a great run from around 15 metres out, nice stepping and jinking! Subloo converts his own try from almost in front. Raiders kick off to start the second half. 42nd min TRY RAIDERS to Jarrett Subloo, he gets his second. Having a very busy afternoon, very good game. Lots to like about Jackson Stuart, very vocal in organising the defensive line from the back. Subloo converts his own try. 51st min TRY EELS to Bruce Ward, after the Eels got a repeat set in the red zone. Very good defence from Canberra so far, however. Converted Bailey Biondi Obo. 60th min TRY EELS and converted from out wide. 63rd min TRY RAIDERS to lock Darby Medlyn, backing up winger Brigham Moeokiola on the inside. Converted Subloo. Very good performance from the Raiders. The Canberra Raiders have won their second game of their Jersey Flegg campaign, with a 30-12 win over the Parramatta Eels at GIO Stadium on Sunday afternoon. Two tries and five successful conversions from five-eighth Jarrett Subloo helped the Green Machine cruise to an easy victory and put them back into the top eight. AT A GLANCE: The Canberra Raiders produced a good 30-12 victory over the 13th placed Parramatta Eels at Canberra Stadium in their last outing - and have now moved into sixth place. They again play at Canberra Stadium in Round 6, against the 10th placed New Zealand Warriors. The Raiders scored early against the Eels on Sunday, with centre Matt Timoko crashing over the line from close range in the fourth minute - off the back of two consecutive penalties. Timoko got a double from broken play in the 23rd minute, with the ball coming loose while the Raiders were attacking in the red zone - with "six again" called for the Green Machine. Just before half time, five eighth Jarrett Subloo stepped his way to the line, his conversion delivering an 18-0 lead at the break. Subloo scored his second try of the afternoon seven minutes into the second half - and while the Eels came back, scoring two tries in the space of 10 minutes, it was not enough. Raiders lock, Darby Medlyn locked down the result in the 64th minute, backing up winger Brigham Moeokiola on the inside to score the four pointer. The Raiders' Jersey Flegg match on Easter Sunday is the first of three in the nation's capital, with Raiders NSW Cup affiliate Mounties also facing the New Zealand Warriors - before the NRL clash between the Raiders and Broncos. The Junior Warriors have one win, one draw and two losses to their name. In Round 5, they were defeated at home, 34-26, by the South Sydney Rabbitohs - currently placed fourth. The Raiders have posted two wins, a draw and a loss. The Warriors have a DWLL form line this year, while the Raiders have a DWLW record in their past four games. Both teams have a similar attacking record (Warriors 23 points on average per match, Raiders over 22). However, the Raiders have the better defence, conceding an average 17 points per game, the Warriors 24. Out tip: The teams' records are not far apart, but the Raiders should be too strong at home. Raiders Jersey Flegg coach Ash Barnes says he's been impressed with the rapid development of five eighth Jarrett Subloo, after he scored a double against the Eels last Sunday.